Water; Buyer would need to drill well. Easements: Roadway, electric, telephone typical. Comments: Nice quiet location with lots of room for horses! Property could be split. 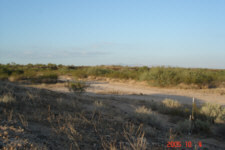 This property is ideal for a quiet place to build a home with plenty of open space for an arena, corrals or other recreational use. 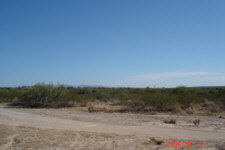 This property also has the potential to be split into multiple parcels for 1-3 acre home sites. 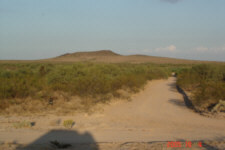 The offered property includes 9.437± tax roll acres of land in a square shaped tract. 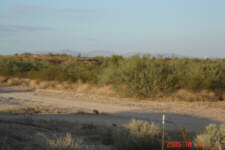 The land is located in Maricopa County and zoned R-43, which allows approximately 1 residence per 1 acre. 100% of the property is located within the 100-year flood plain which does have some building restrictions. The 9.44± acres are located east of 337th Avenue, approximately 1/4 mile north of Carver Road. 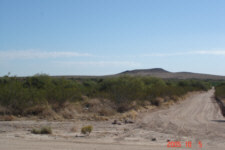 The property lies south of Tonopah, west of Buckeye in the Arlington Valley area. 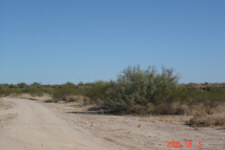 The property has approximately 656' of gravel road access from 337th Avenue on the western border of the property. 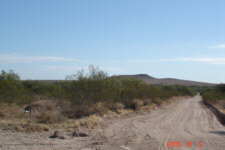 Current access to Interstate 10 from the property is 1 ¾ miles south on 337th Avenue, 10 miles east and north on Old US Highway 80 and 7 miles north on Oglesby to the I-10. Cash preferred, terms may be considered.